Beautiful sunny colours, Val and your stencilling looks gorgeous. have missed seeing your cards on the blog, val! this one is gorgeous! thanks for sharing that you are on Instagram... started following you. Great to see you posting again Val. Love your bright card. Thanks for joining us at Happy Little Stampers Watercolor Challenge. Hi Val, what a wonderfully bright and cheery card! I love the way those watercolour inks pop using that pretty stencil. Thanks so much for joining our HLS July Watercolour Challenge. So gorgeous! And how cool, the first DT - I absolutely love this design and the colors you used - really pretty! Thanks so much for sharing with ATSM and good luck! Welcome back to blogging and I love the card you made. The layered flowers are so pretty and the bold sentiment makes a real statement. I hope Charlie is doing well and you are still enjoying the choir. Good to see you back on the blog. 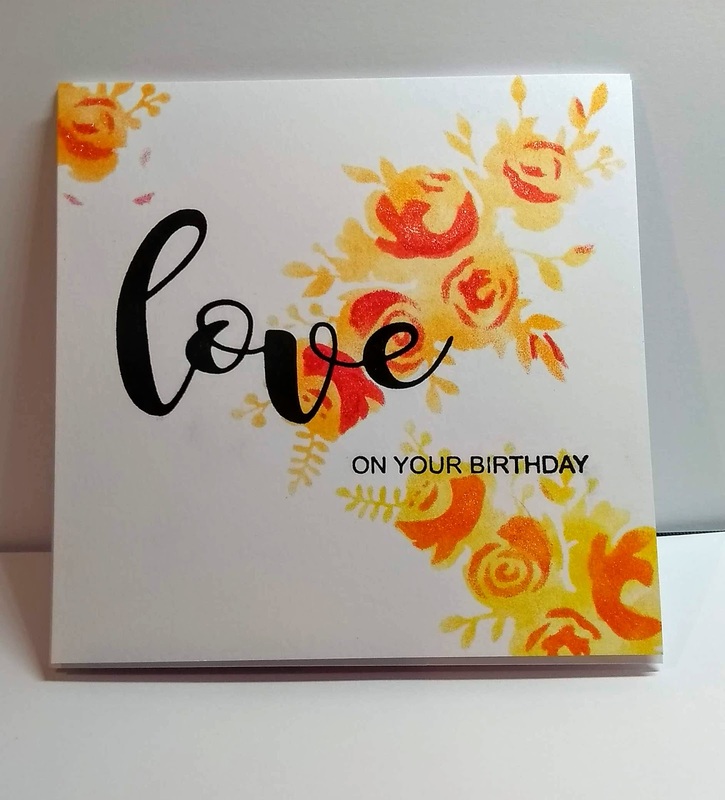 Beautiful classy vibrant colored card. Lovely colors and a fabulous design.